The folks in Mike Erikson's small New England town would say he's just your average, everyday guy. And that's exactly how Mike likes it. Sure, the life he's chosen isn't much of a challenge to someone with his unique gifts, but he's content with his quiet and peaceful existence. The invention promises to make mankind's dreams of teleportation a reality. And, the scientists insist, traveling through the Door is completely safe. Yet evidence is mounting that this miraculous machine isn't quite what it seems -- and that its creators are harboring a dangerous secret. As his investigations draw him deeper into the puzzle, Mike begins to fear there's only one answer that makes sense. And if he's right, it may only be a matter of time before the project destroys…everything. A cunningly inventive mystery featuring a hero worthy of Sherlock Holmes and a terrifying final twist you'll never see coming, THE FOLD is that rarest of things: a genuinely page-turning science-fiction thriller. 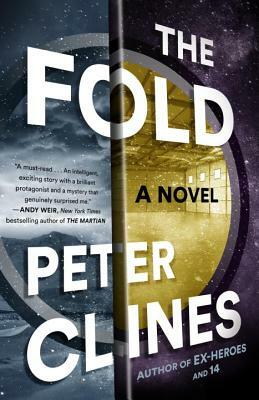 Step inside its pages and learn why author Peter Clines has already won legions of loyal fans.